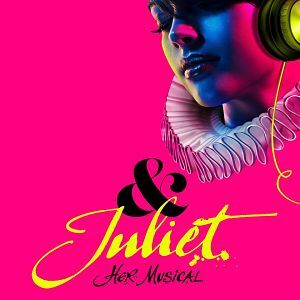 Miriam-Teak Lee is to star in & Juliet: a new Shakespearean-inspired musical featuring the songs of Swedish-born songwriter and producer Max Martin. The musical fantasises about Juliet’s life if she hadn’t taken poison with Romeo . Cassidy Janson, will play Anne Hathaway with Oliver Tompsett cast as her husband William Shakespeare Melanie La Barrie is the Nurse, Jordan-Luke Gage is Romeo with Tim Mehendran and ensemble members Arun Blair-Mangat, Jocasta Almgill, Josh Baker, Alishia-Marie Blake, Ivan De Freitas, Rhian Duncan, Danielle Fiamanya, Kieran Lai, Nathan Lorainey-Dineen, Jaye Marshall, Grace Mouat, Antoine Murray-Straughan,Kerri Norville, Christopher Parkinson, Dillon Scott-Lewis, Kirstie Skivington and Alex Tranter. Cassidy Janson who played Carole King in Beautiful, said that in & Juliet, Hathaway starts writing Juliet’s story as if she hadn’t died. She said ‘There are little twists and turns in the re-telling, and it’s very comedy based,’ taking Juliet off on adventures that see her to Paris. Janson will sing the big Max Martin ballad That’s The Way It Is (a hit for Celine Dion) plus a couple of duets. Miriam-Teak Lee's credits include Drew McOnie’s production of On The Town, she was part of the original cast of Hamilton at the Victoria Palace when she understudied the three Schuyler sisters (Angelica, Eliza and Peggy), and got to perform all of them. &Juliet starts previews at the Shaftesbury Theatre on November 2nd with a try-out run at the Opera House, Manchester, from September 10th - October 12th. Buy tickets for &Juliet in Manchester and London. It is booking until 28th March 2020 at the Shaftesbury.